Do Awards and/or Good Reviews Help Spur Interest in Books? 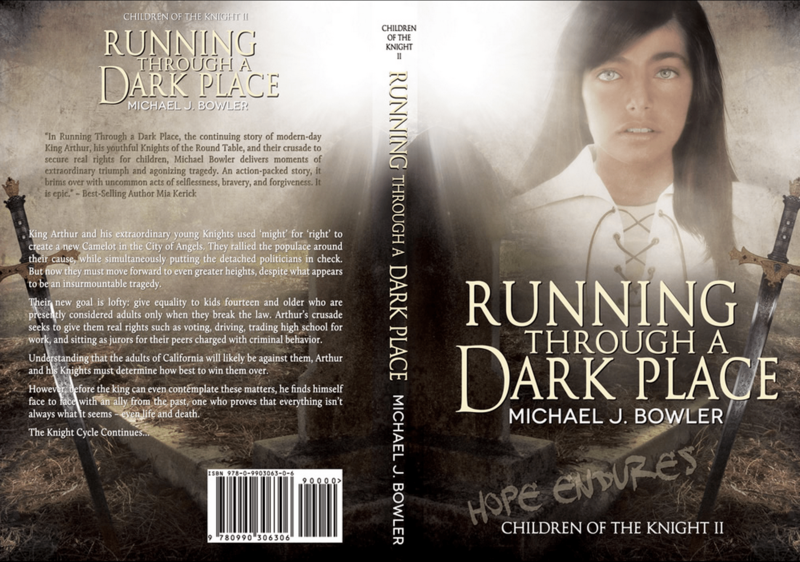 Running Through A Dark Place, the second book in my epic 5 book series, The Knight Cycle, is a Finalist in the 2014 Rainbow Awards in the Young Adult category, which is super cool and I’m very honored to have been chosen and to be in the company of so many talented authors. 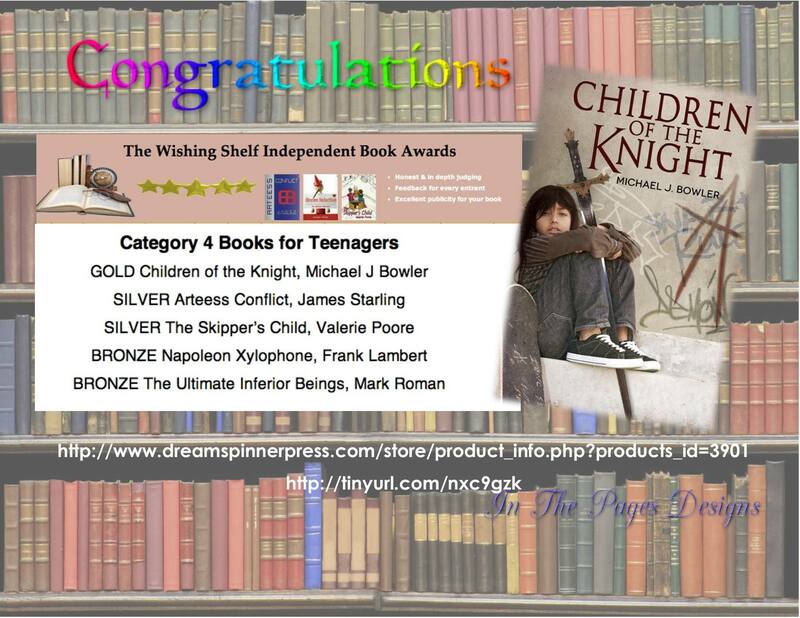 The first book in the series, Children of the Knight, was a Finalist in the 2013 Rainbow Awards for the Young Adult category, and ended up in the top ten. With over 500 books submitted this year, and a number close to that last year, it’s amazing to be in the final 19 selected for the Young Adult category. 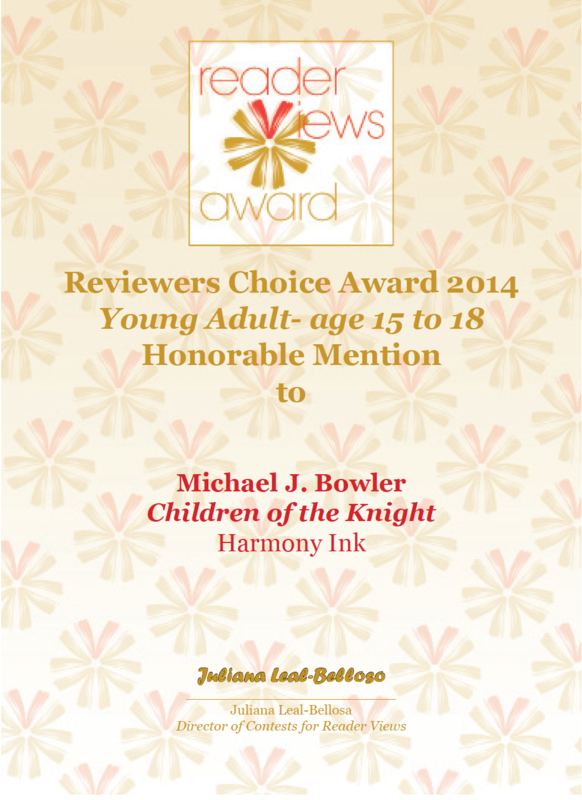 Children of the Knight was also given Honorable Mention in the 2014 Reader Views Reviewers Choice Young Adult Age 15-18 category, and it scored a Gold Award under Best Books For Teenagers from the UK-based The Wishing Shelf Independent Book Awards. 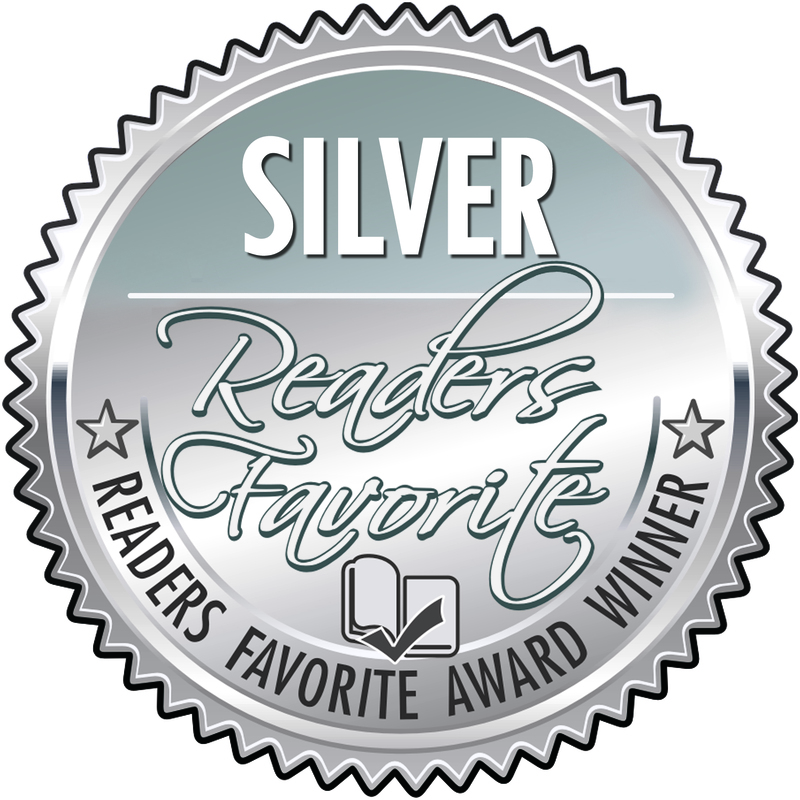 My novel, A Matter of Time, won a 2012 Silver Medal from Reader’s Favorite under the Romance/Suspense category. I do not post these awards for the purpose of bragging because that is not my persona. 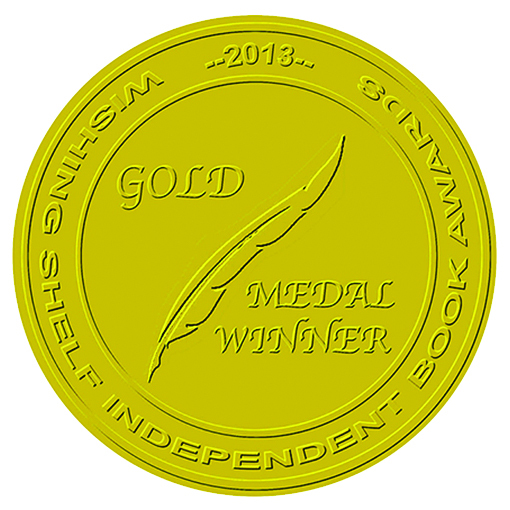 My purpose for this post is to ask fellow authors, and even readers, if winning an award for a book (obviously not something like the National Book Award) and/or getting good reviews helped spur visibility of the book and bring more readers to the table. Is there a way to promote awards and/or reviews (other than just through social media) that may attract more readers from the target audience? In my case, there appears to have been no jump in sales or readers as a result of these awards. The awards are listed on Amazon with the book info, and of course I promote through social media. I also share the occasional review that pops up on Goodreads or Amazon for any of my books. The Knight Cycle is really one long epic story wherein each book begins exactly where the previous one ended, and thus need to be read in order. I, therefore, heavily promoted the first book in the series. These books feature gay teens in prominent roles, are ethnically and racially diverse, and don’t focus on any single issue, but on a great many issues facing teens and children in America today. The Rainbow Awards is specifically targeted at books revolving around LGBT characters, and thus I was pleasantly surprised both years to be a finalist. However, those who read Rainbow Award winning books have shown virtually no interest in Children or Running. In other words, being a Finalist didn’t bring in any new readers. In the case of Children of the Knight, I did get some very positive reviews on Goodreads as a result of the book making it to the final round, but those good reviews didn’t generate much interest either. The Wishing Shelf Awards and the Reader’s View Awards are mainstream competitions, and my wins in both have not produced any noticeable bump in reader interest. Likewise, my Silver Medal for A Matter of Time has done nothing to garner more readership for that book. So, back to my original question and the title of this post: does winning awards (other than major ones) and/or getting good reviews help bring readers to the table? I don’t know the answer. 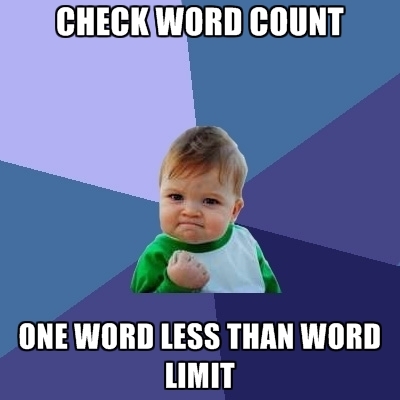 But maybe some of you out there do. I’d love to hear from both authors and readers. For you authors out there, have awards and reviews helped your books, and if so, what did you do with the award and/or reviews that brought in new readers? For you readers out there, do you care about awards or even reviews in selecting books to read? Personally, as a reader, I do look at both because I think that if a book has won an award, it might at least be worth exploring on Amazon. I also check out reviews, but steer clear of any that might contain spoilers. Almost all of the reviews for my books have been positive, but those reviews haven’t improved the visibility of the books or increased readership. I don’t have many followers on this blog, but I hope to hear from at least a few people out there because I’m very interested in your thoughts.